After taking an active part in serving their country, many Veterans want to stay active when they return to civilian life. For disabled Veterans, however, maintaining a sense of independence can be a challenge. That’s especially true if they have to change how they handle the routine tasks of daily life — such as driving a car. Fortunately, the auto industry is providing more help than ever for people who need assistance with their personal mobility — and it’s not only in the way of adaptive equipment. In fact, while many of the major automakers have dedicated mobility programs that will add adaptive equipment — from hand controls to lifts and ramps — to certain models from their regular production lineup, many of the latest automotive technologies that are offered as standard features for typical drivers can make driving easier for disabled Veterans. According to a story in the L.A. Times, back or neck strains are among the most common conditions for disabled Veterans of recent wars, and it’s well known that there’s nothing quite like soothing heat to reduce some of the accompanying discomfort. But you may not realize how affordable and readily available heated car seats have become. Originally launched on upscale luxury cars, heated front-row seats are now offered even on mass-market compacts. Quite a few setups have multi-stage settings, too, as well as heating elements in the seat bottoms and backs. This lets occupants fine-tune temperature levels to better meet their individual needs. Another common issue for disabled Veterans — knee and ankle problems — can be addressed by vehicles with adjustable foot pedals. These are exactly what they sound like: gas- and brake-pedal assemblies that can be adjusted forward and back to accommodate the lengths of different drivers’ legs. Now, these aren’t quite as readily available as heated seats, but they can be found on a fair sampling of larger SUVs and trucks, including all three of the best-selling pickups in the country. Also, some of these systems come with memory functionality, making it simpler for Veteran families with multiple drivers to share the vehicle. Veterans with a limited range of motion in their upper bodies will be able to take full advantage of their SUVs and crossovers with a completely power-operating tailgate. Offered on an increasing number of more-affordable vehicles, these systems can allow owners to manage the entire opening and closing process by merely pressing a button. The latter function is particularly helpful, since it means folks can close the relatively heavy lift gate without having to reach up and pull it down. Keep in mind, though, that some of the newest hands-free tailgates can require leg movements to open, which may be difficult for some disabled vets. The amazing computer power in today’s cars delivers access to comprehensive navigation services, on-the-go calling capabilities, and an ever-growing variety of smartphone-style apps. And while all that technology is often controlled using a vehicle’s touchscreen, nearly all in-vehicle infotainment systems also incorporate some level of voice recognition. As a result, owners don’t have to be constantly stretching and reaching to take advantage of those features. Just remember that the accuracy of these systems can vary widely, even among the same brands, and shoppers should carefully test a car’s voice-recognition capability as part of the overall test drive. This feature encompasses a full array of modern-day driver-assistance capabilities. These advanced systems have us well on the road to autonomous driving, with functionalities that include avoiding collisions within a driver’s blind spots, slowing down upon approach to other cars, and even automatically guiding a vehicle into a parking spot — all the kinds of things that can require drivers to twist and turn in their seats to get a better view of their surroundings. You still have to pay close attention to your actions and environment when behind the wheel, but you don’t have to pay a lot to enjoy these technologies either. At least one compact car under 19k comes with a rearview camera, forward-collision warning, automatic braking and lane-departure alert. 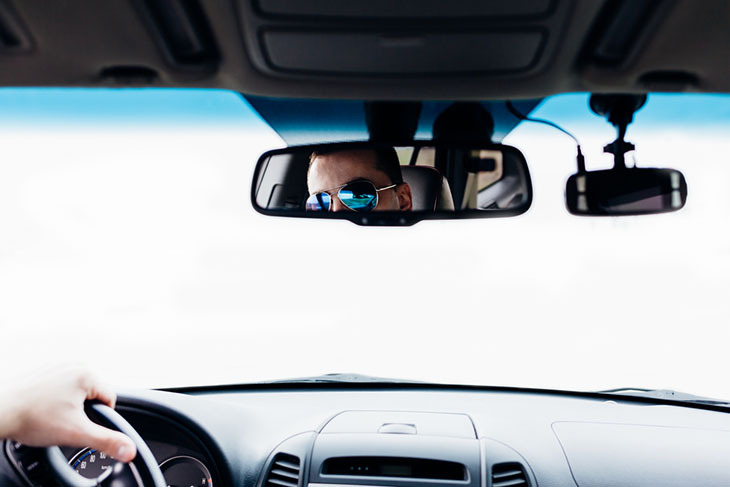 Whether you’re buying a car with these helpful features, or having adaptive equipment installed in your vehicle, be sure to check out the VA’s “automobile allowance” program. Grants are available to disabled Veterans to defray the costs of both. Growing up in Detroit, Charles Krome become a car enthusiast at a young age. He is now an automotive writer for CARFAX, an online resource for car buying. Charles enjoys sharing tips on how Veterans can best make their car accessible. I had just purchased an Lexus RX360 2015 with these features because of my disability, wish I had known this prior to my purchase. And does everyone overlook the obvious, namely that handle over your head that helps you to get into or out of that front seat. I filed bankruptcy 3 years ago. Am I still able to get these benefits? I am 100% service connected. I have a lift for my wheelchair in my 08 used Dodge Grand Caravan. I am in need of a better running vehicle. With the fore mentioned benefits I would be able to assist my wife with driving. Any suggestions on helpful car dealers? I am interested in getting a vehicle with swivel or lift seats to allow easy entry and exit from the vehicle. I don’t need a wheelchair ramp or lift. Do you have any recommendations for this type of vehicle, or how I can apply for a grant to get these type of seats installed in my current vehicle? HAND BRAKE ON STEERING WHEEL?